Our straightforward, reliably brisk Assam Tippy Breakfast is an Assam lover’s ideal. It is a brisk, mouth-filling Assam. 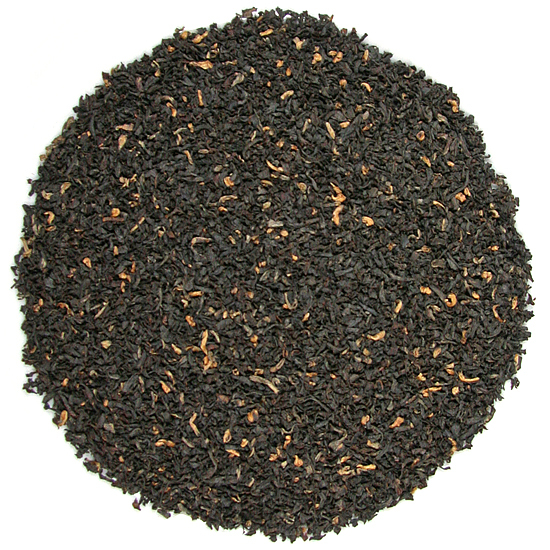 Malty and smooth, it is in many ways the ‘single-malt’ of the Assam teas. Delicious neat, it can also be drunk with milk or be sweetened, or used as a base for flavoring or spicing black tea such as a favorite chai mixture. Slightly smoother than our Assam Golden Fancy, our Assam Tippy Breakfast has a distinct earthiness and deep flavor that is reminiscent of peat and heather. Note: Be sure to try more than one of Tea Trekker’s orthodox leaf Assam teas, as they are distinctly different and unique, from one of the most tea garden-friendly locations on the planet.